I’ve been a member of CrossFit Mora for 7 months now and have gone through many changes. I joined with the hope of staying active after having a baby and becoming a stay at home mom. Prior to joining CrossFit Mora I had no workout experience whatsoever. I did not life weights, I did not run, and I had not been on an exerciseregimen in at least 5 years. I came by to watch a CrossFit class in action and signed up immediately. Although it felt intimidating to know that I would be doing some of the exercises that the others were doing, I did not want to talk myself out of a challenge and doing something that would be good for my health. I started off with the lightest weights available and have felt nothing but support and encouragement as I’ve increased my strength and abilities. I joined CrossFit Mora in August 2014. Prior to joining CrossFit Mora, I was a member of another crossFit gym, but wasn’t very consistent in training and to be honest, didn’t enjoy crossFit all that much. I wasn’t very good at it and couldn’t lift very much, so I spent most of my time inside a traditional gym, lifting weights and spending hours climbing the stairmaster. The thing that sticks out to me the most about CrossFit Mora is the sense of community. From the coaches down to the members - everyone is so supportive of each other. If a CrossFit Mora member is competing in a CrossFit competition, guaranteed they’d have the most supporters in the crowd. Cheesy to say, but I’ve also made some lifelong friends at the gym - our texts over how hard a WOD was and our moaning and groaning about how sore we are have created unbreakable bonds. For me, CrossFit is also a family affair. My husband and oldest son are also members at CrossFit Mora and have also seen significant improvement in their strength. If we’ve accomplished that much in less than a year at CrossFit Mora, I can’t wait to see what we can do in the upcoming year! CrossFit Mora is the place to achieve your health and fitness goals. Of all the gyms I've been to, it's the most professional, well run and cleanest, with high quality equipment. The members are friendly, welcoming and supportive. Walking into a CrossFit gym for the first time can be intimidating, but Andre and Holly make everyone from fitness beginners to seasoned athletes feel welcomed. I had been doing CrossFit for about a year when I joined CrossFit Mora. I built my strength quickly, hitting personal records in weightlifting and learning new skills faster in the first few months than I did in the entire year prior at my previous gym. What I find unique about CrossFit Mora is that they encourage you to set your own goals, whether that's getting stronger, becoming a better athlete or looking and feeling better physically. Andre and Holly want you to succeed and reach your full potential in whatever aspect of health and fitness is important to you. 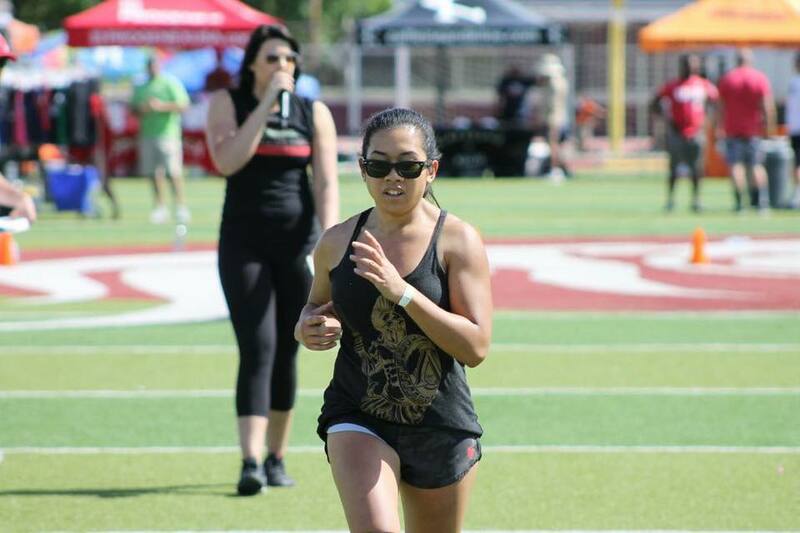 The coaches supported and encouraged me through training for a half marathon and competing in my first CrossFit competition. The members are like a family and we always have the largest cheering section wherever we go. Besides having great camaraderie among the members, the coaches of CrossFit Mora are all well educated and knowledgeable about diet and exercise. They emphasize safety and proper lifting techniques as well as teach and encourage mobility and proper rest. The coaches at CrossFit Mora will adapt the programmed workouts to meet your skill level and any physical limitations you may have. I broke my toe and thought I would be out of the gym for several weeks, however Coach Andre designed exercises that worked around my limitations so that I could still keep consistent with my workout schedule. At CrossFit Mora they go above and beyond to make sure all members' needs are met and that everyone feels part of the "family." I am proud to have been a founding member of CrossFit Mora and look forward not only to continuing to grow in my fitness knowledge and abilities, but also to continue to build friendships with those who share my love of fitness!